Opening Night Party featuring RTRFM DJs Chris Wheeldon & Shannon Jenkins, treats from Yelp and a complimentary drink with ticket. 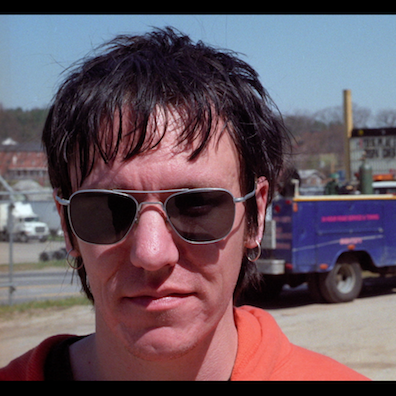 Heaven Adores You is an intimate, meditative inquiry into the life and music of Elliott Smith. By threading the music of Elliott Smith through the dense, yet often isolating landscapes of the three major cities he lived in — Portland, New York City, Los Angeles. Heaven Adores You presents a visual journey and an earnest review of the singer’s prolific songwriting and the impact it continues to have on fans, friends, and fellow musicians. Cast members include: Elliott Smith, Autumn de Wilde, Marc Swanson, Larry Crane, Chris Douridas, Aaron Espinoza, Jeremy Wilson, Ross Harris, Ashley Welch, Steve “Pickle” Pickering,Tony Lash, Kevin Moyer, Sean Croghan, Janel Jarosz, Pete Krebs, Tres Shannon, Joanna Bolme, Corey DuBrowa, Slim Moon, Margaret Mittleman, Rob Schnapf, James Clark, John Chandler, Dorien Garry, Rob Sacher, Mark Flanagan, Jon Brion, Paul Pulvirenti, Alyssa Siegel and Shon Sullivan. 96 Minutes. Directed by Nickolas Dylan Rossi. Ticket includes a complimentary drink, treats from Yelp Perth, entry to the pre-party and after party. Just flash the free Yelp app on your phone at the Yelp stall on opening night to score your free popcorn!